everything is explained in the pix. Cool, cool...it's like one of those all in one speakers?? 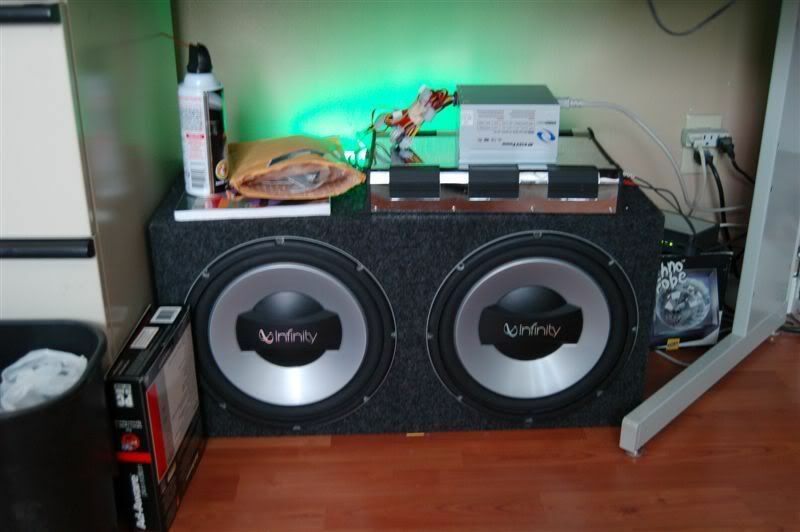 Naw, those 2 at the bottom, are my subwoofers, that i took out of my car. 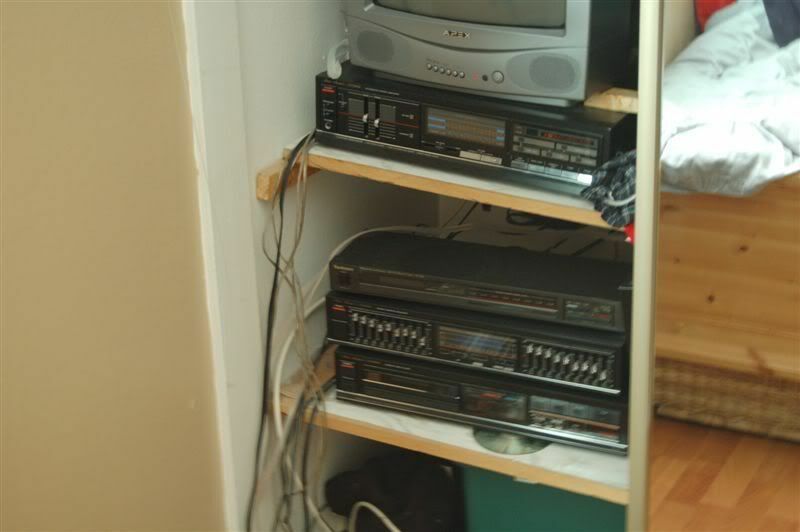 and then I have to bose book shelf speakers hooked up to the reciever. So the bookshelf speakers aren't in the pic? Yea, in those pix, there are only one, you can see on top of the tiny subwoofer, next to the computer on the floor, my other one (not in the pic) sits on top of the subwoofer amp. How many computers do you need in one area? 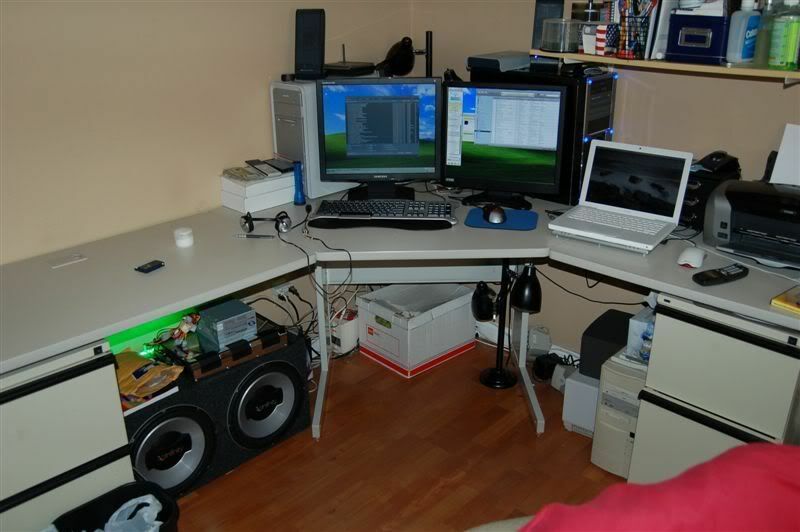 I see 3 desktops and a macbook. What's the desktop on the floor for? 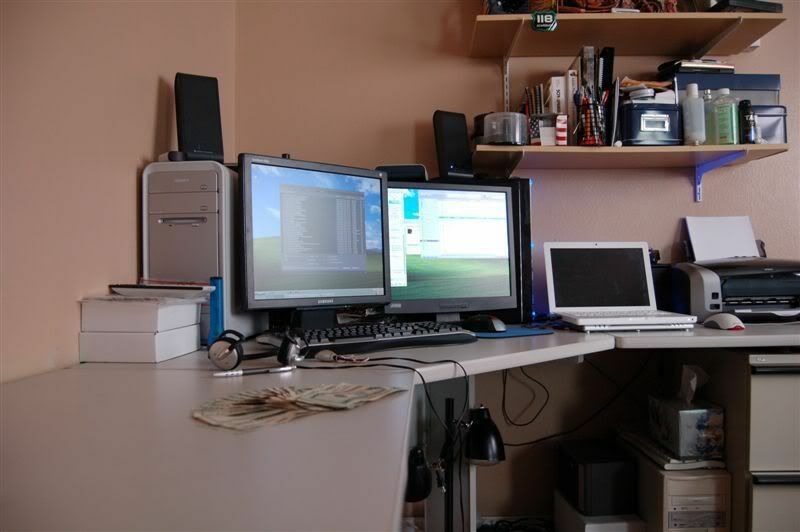 I assume the other 2 desktops are connected to each of those LCDs...? That one on the floor, is my grandpa's I need to give back to him. The sony I don't use that often, matter of fact i haven't used it for a long time. I basically use the custom computer which supports dual monitors.